In order to render ancient Indo-Tibetan knowledge accessible and applicable for modern society, Rinpoche developed a UNITY IN DUALITY Science of Mind and Phenomena and Personal Development as well as Spiritual and Psychotherapeutic Application. Incorporating all of these subjects, Rinpoche established a four-year education in UNITY IN DUALITY, which he taught at the Tarab Institutes in several European capitals. For the last 25 years Rinpoche gave lectures at many International Conferences in Buddhist Philosophy / Psychology, as well as UNITY IN DUALITY workshops around the world tirelessly. Besides various publications in Tibetan language, Rinpoche's English publications include: 'Catalogue of Tibetan Manuscripts and Xylographs', Vol. I-II, Curzon, Richmond, Surrey Press / Royal Library, Copenhagen 2000; 'A Brief History of Academic Degrees in Buddhist Philosophy', Nordic Institute of Asian Studies (NIAS), Copenhagen 2000; as well as articles on Tibetan Language and on Buddhist philosophy / psychology published in various international journals. Rinpoche finished a great work in Tibetan on Unity in Duality just before his passing, which will be published in the near future in Dharamsala under the guidance of His Holiness the Dalai Lama. 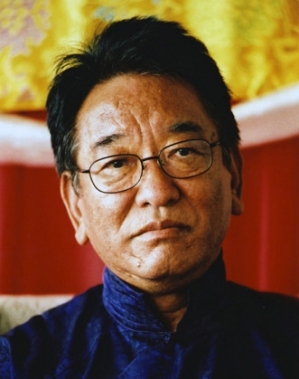 Rinpoche is also Editor of the book "Einheit in der Vielfald", 2005, connected with the conference of Tendrel / Unity in Duality 2002. Several booklets based on Rinpoche teachings have been published by the Tarab Institutes, they are available in French, English and German. Within the next years we hope to be able to make available in English, French and German Rinpoche's great dissertation in Tibetan Language on Unity in Duality. However, several books based on weekend workshops and great works in connection with the Unity in Duality Education are on their way.